For many holiday destinations, you’ll need more than just a valid passport to travel. Nothing can add to your pre-holiday stress like the prospect of filling out lengthy visa forms and wondering whether you’ve left it too late to apply. Whether to explore the Great Wall, indulge in some Shanghai shopping, or to enjoy some of the world’s best food, China is an increasingly popular destination for UK travellers. When applying for a tourist visa, you’ll need to present a valid passport with at least six months left before it expires, as well as an extra passport photo and a visa form to the Chinese Embassy. Although there is a fast track option, it will cost you more, so leave at least five working days to be on the safe side. India is a longtime favourite holiday spot for British travellers seeking sunshine and adventure. The good news is, the visa process is pretty straightforward. You can apply online for a tourist visa (called an eTV) up to four days before you travel. You’ll need to scan the first page of your passport and upload a passport photograph to the online form. It costs around £39, plus a small admin fee for a 30-day visa. In recent years, Cuba has experienced a boom in tourism, with many people drawn to the Caribbean climate, scenic architecture and old-fashioned way of life. In order to travel there, you need to purchase a tourist card through the embassy, or online, via a visa company. It costs around £74 for a standard visa entry and you’ll need to have a valid passport, evidence of travel insurance, and your flight and accommodation details. This is another one we recommend doing well in advance, as processing can take up to 10 working days. If you’re heading to Russia on holiday, you can print off an application form for a 30 day visa. Once you’ve filled in all the details of your trip and attached a recent passport photo to the form, you can drop it into the nearest office in London, Manchester or Edinburgh, along with your passport. You will also be asked to give a fingerprint and pay a standard £38.40 fee in order to receive your visa. Processing time is a minimum of five working days, so once again, leave plenty of time before you go. 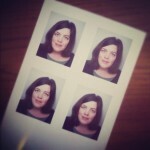 Having enough passport photos to hand is a great way to ensure you’re prepared for any visa applications in the future. Order online at Paspic today.